Sign up early to help us be prepared for you! Want to receive the weekly online painting reminders in your inbox? Yes, we now have a sliding scale option. Can I get CEUs for Online Painting? CE Credits are available for MFT/LCSW/LPCC/LEP/RN. The fee is $25 per six session package (18 credit hours). Register for CEUs AFTER completing your six sessions. You'll then fill out our Online Evaluation Form. You’ll receive your Certificate of Completion within 15 days. Canadian Citizen? Use the code CDN for 25% off each single session. What should I do before my session? 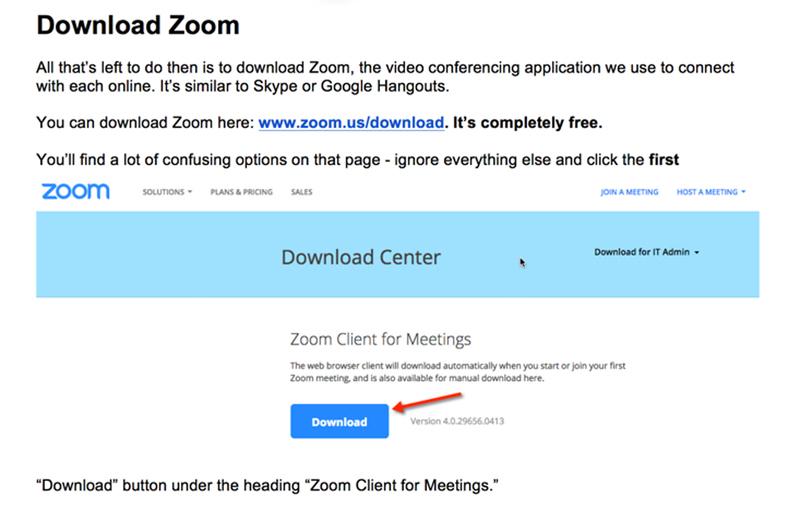 Download "Zoom Client for Meetings" here: www.zoom.us/download. It's free. Set up a simple painting area. Read our post "Practical Tools: Brushes, Paints, Paper & Time" for some helpful suggestions. Set up your computer or mobile device in the same room as your painting area so that the camera on your computer/device is facing your painting and so that you can sit comfortably in front of it for our brief intro and closing discussions. On the day of your session, make sure your computer/mobile device is set up with Zoom. About five minutes before your session begins, you'll receive an email from our office. Open that email and click the link provided. Zoom will open and you'll be in our "virtual studio". What if I'm having trouble connecting? Have a Package or Discount Code Already? Choose a session. Click on the time that appears below the date. Then click Continue. Click the box that says "Have a package/discount code? It will then say "Code or Email". Just enter your email address!